The DeVilbiss D100 Nasal Nasal Silicone Cushion (Spare Part) offers a cost effective cushion replacement solution for your DeVilbiss D100 Nasal CPAP Mask With Headgear. The cushion is a moulded silicone cushion and is lightweight and comfortable to wear. 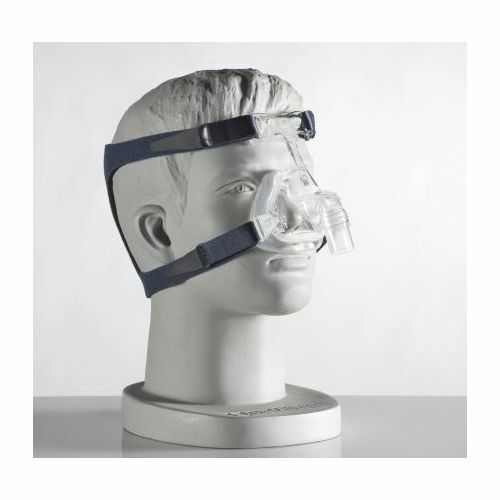 Well-fitting masks increase the compliance of treatment and the overall effectiveness in the improvement of Sleep Apnoea symptoms. Clean with warm water and mild detergent. Rinse all components thoroughly and leave to air dry. The D100 mask frame can be cleaned in the top rack of the dishwasher. If you have any questions about the D100 Series of CPAP masks or replacement parts please contact Sleep Apnoea Services on 020 7720 2266.